Men's Dockers And Polo Only $23.19! You are here: Home / Great Deals / Men’s Dockers And Polo Only $23.19! Men’s Dockers And Polo Only $23.19! 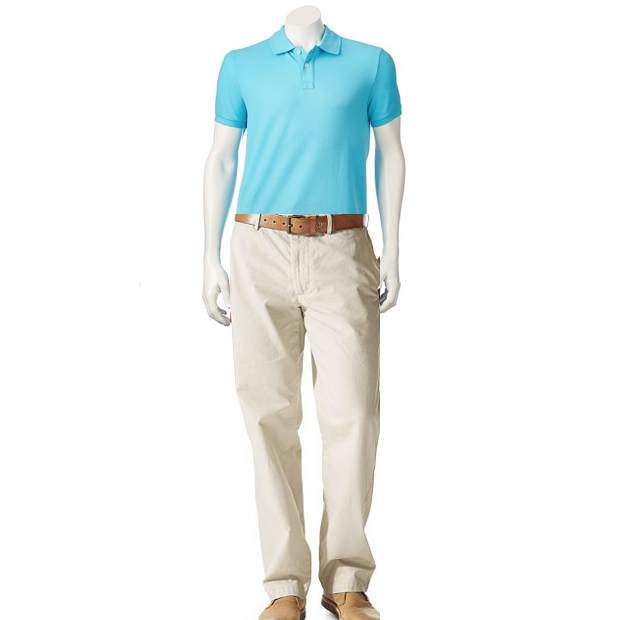 Head over to Kohl’s to order these Men’s Dockers And Polo for Only $23.19! Order online and pickup in store or get FREE shipping on orders of $75+! The Urban Pipeline Pique Polo is on sale for $9.99. The Dockers® Field Khaki Classic-Fit Flat-Front Pants are on sale for $23.20. Use promo code BOOKS10 to get $10 Off a $30 Purchase. Get the whole outfit for just $23.19!